The ability to identify fragments that interact with a biological target is a key step in FBDD. To date, the concept of fragment based drug design (FBDD) is increasingly driven by bio-physical methods. To expand the boundaries of QSAR paradigm, and to rationalize FBDD using In silico approach, we propose a fragment based QSAR methodology referred here in as FB-QSAR. The FB-QSAR methodology was validated on a dataset consisting of 52 Hydroxy ethylamine (HEA) inhibitors, disclosed by GlaxoSmithKline Pharmaceuticals as potential anti-Alzheimer agents. To address the issue of target selectivity, a major confounding factor in the development of selective BACE1 inhibitors, FB-QSSR models were developed using the reported off target activity values. A heat map constructed, based on the activity and selectivity profile of the individual R-group fragments, and was in turn used to identify superior R-group fragments. Further, simultaneous optimization of multiple properties, an issue encountered in real-world drug discovery scenario, and often overlooked in QSAR approaches, was addressed using a Multi Objective (MO-QSPR) method that balances properties, based on the defined objectives. MO-QSPR was implemented using Derringer and Suich desirability algorithm to identify the optimal level of independent variables (X) that could confer a trade-off between selectivity and activity. The results obtained from FB-QSAR were further substantiated using MIF (Molecular Interaction Fields) studies. 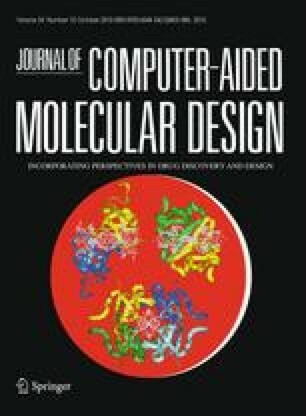 To exemplify the potentials of FB-QSAR and MO-QSPR in a pragmatic fashion, the insights gleaned from the MO-QSPR study was reverse engineered using Inverse-QSAR in a combinatorial fashion to enumerate some prospective novel, potent and selective BACE1 inhibitors. The online version of this article (doi: 10.1007/s10822-010-9378-9) contains supplementary material, which is available to authorized users. The authors thank Council of Scientific and Industrial Research (CSIR), New Delhi, India, for providing a financial grant under the Mission Mode Program CMM 0017. M.P thanks CSIR for a Project Fellowship and R.S.K.V thanks CSIR for a Senior Research Fellowship.